Toggle switch for the logging function. Click to toggle on or off. When switched on, all I/O will be written to a predefined logfile. 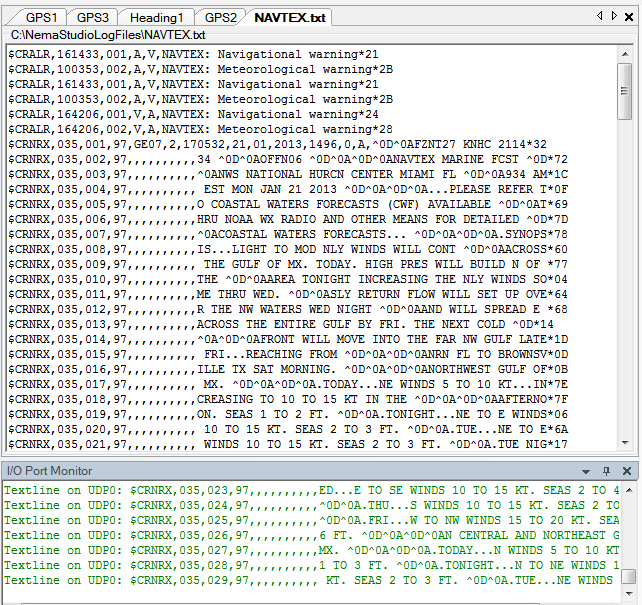 You set the path and file name for the logfile in the general settings, and also the parameters that have to be written together with the NMEA data. 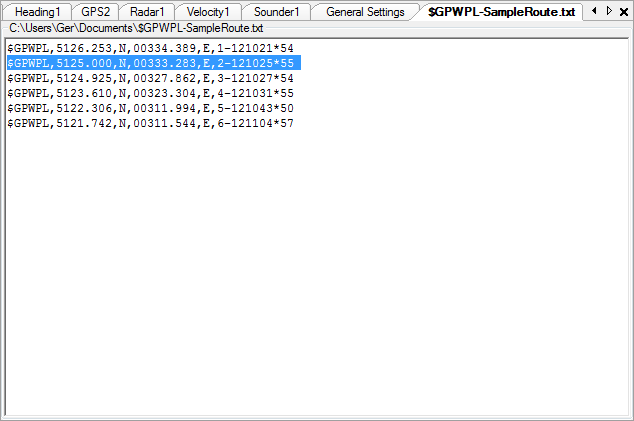 in the second image an example of a file replay, in this case a captured NAVTEX file. Deletes the object (Instrument, Target) in the currently active tab. Confirmation is asked before deleting. 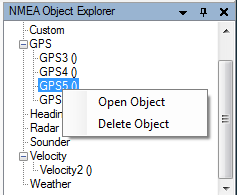 Note that deleting of an object can also be achieved by selecting an object with the right mouse button in the NMEA Object Explorer and clicking the Delete menu item in the context menu as shown below. These button will respectively start all open objects, stop all open objects or close all open objects simultaneously. Clicking this button will initiate the replay of a stored NemaStudio log file. so that NemaStudio is able to replay including the original time intervals, objects and ports. Note that replying a log file will close all active objects and that logging must be "OFF".